By a little bay near Marseille lies a picturesque villa owned by an old man. His three children have gathered by his side for his last days: Angela, an actress living in Paris, Joseph, who has just fallen in love with a girl half his age and Armand, the only one who stayed behind in Marseille to run the family’s small restaurant. It’s time for them to weigh up what they have inherited of their father’s ideals and the community spirit he created in this magical place. The arrival, at a nearby cove, of a group of boat people will throw these moments of reflection into turmoil. Ariane Ascaride, Jean-Pierre Darroussin, Gérard Meylan, Jacques Boudet, Anaïs Demoustier, Robinson Stévenin. Film director, scriptwriter, the son of an Armenian father and German mother. He studied at the Social Sciences Department of Paris University. He has made films since 1980. 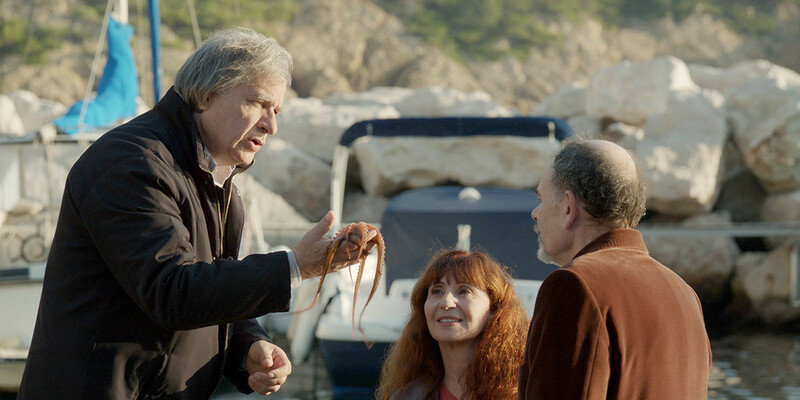 He lives in Marseilles, a city that has always featured his films to date. His films were shown at many festivals. Marius and Jeannette won the Certain Regard Prize at Cannes IFF, the Delluc, Lumiere Prizes, the Grand Prix of IFF in Geneve, Figueira da Foz (Portugal), Hayfa (Israel), and Ariane Ascaride received Cesar for Best Actress. Marie-Jo and her two loves and Le promeneur du champ de Mars were participated in feature competition of Cannes and Berlin IFFs. Michel Bouquet starring in Le promeneur du champ de Mars won the Best Actor Cesar. In 2006, Robert Guédiguian won Silver Apricot - Special Prize for Le Voyage en Armenie in Golden Apricot Yerevan IFF. The Last Summer (Co-dir. : Frank Le Wita, 1981), Red Midday (1983), Ki lo sa? (1985), God Curses the Indefferents (1989), ‘Til Death Do Us Part (1995), Marius and Jeannette (1997), Where the Heart Is (1998), Charge! (2000), The Town Is Quiet (2000), Marie-Jo and Her Two Lovers (2002), My Father Is an Engineer (2004), Le Promeneur du champ de Mars (2005), Le Voyage en Arménie (2006), Lady Jane (2008), Army of Crime (2009), The Snows of Kilimanjaro (2011), Ariane’s Thread (2014), Don’t Tell Me the Boy Was Mad (2015), The House by the Sea (2017).